- By Vivienne Gucwa Winter crunches underfoot yielding to the heavy enormity of the sheer weight of souls in transition. Trees laden with snow frozen in thought stand dormant until the springtime. It’s on these sorts of days that the earth feels as if it is caught in a trance somewhere between dreaming and opening its frozen eyelids. 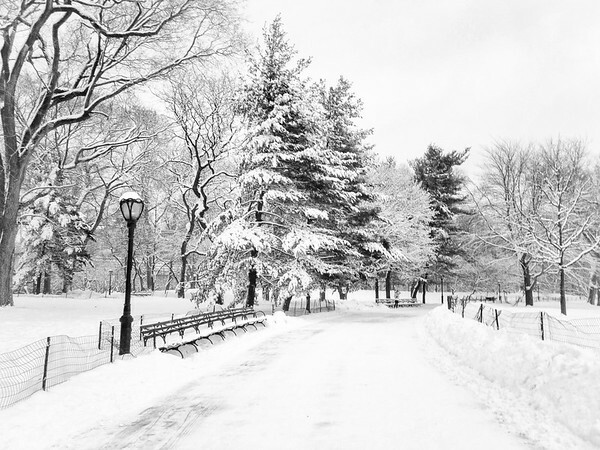 -- This is a view of a snow-covered path during a beautiful snowstorm in the heart of Central Park, New York City.